The fastest and most exciting formula on the UK ovals, these specialised and highly tuned hatchbacks and coupes are among the most professional setups in UK oval racing. Built on specially designed spaceframe chassis, powered by race-tuned 16-valve engines and running on bespoke racing slick tyres, the speeds these cars can achieve in such a confined space has to be seen to be believed. Nelson Piquet once described racing a Formula 1 car round Monaco as “like riding a bicycle around your living room” – clearly he has never seen a National Hot Rod race! The drivers are the most skilful and talented on the ovals, circulating centimetres apart at full tilt. 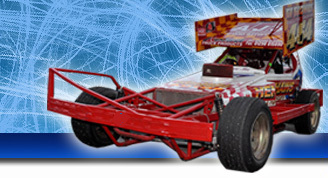 The annual National Championship at Hednesford is the highlight of the Incarace calendar at the spiritual home of Hot Rod racing, but the NHRs provide large grids and incredibly close racing at all three of our tracks.